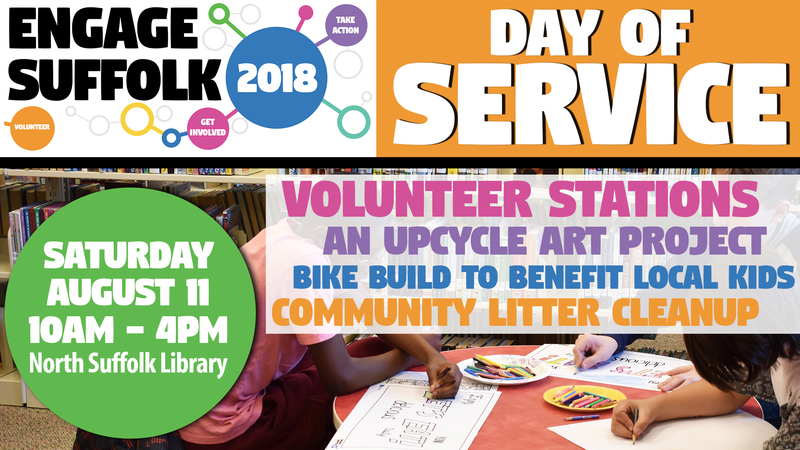 All ages are invited to invest in your community with a day of service at the library. This is a great way for students to earn community service hours! Community litter cleanup @ Bennett’s Creek Park 10-1 in partnership with Keep Suffolk Beautiful. 10am - 1pm: Wayne with Suffolk Litter Control and Keep Suffolk Beautiful will lead cleaning and upkeep activities at Bennett's Creek Park. Volunteers should meet at the park and be prepared to get dirty! Invite your friends to come through our Facebook event page.